In those eight months, the experienced Liberal leader has taken advantage of the weakness of the NDP’s front bench. Some of its best MPs are currently occupied by the race to replace the Jack Layton, and by most accounts Nycole Turmel has not done a terrific job as leader of the Official Opposition. However, the New Democrats have not surrendered second place to the Liberals in the polls. Nevertheless, Rae’s leadership has helped the Liberals make some gains in the first eight months after the May 2 debacle, hitting 22 per cent in national support in December. Though they have a long way to go before they can start challenging the New Democrats as the main alternative to the Conservatives, Rae has put the party on the right track. However, under his watch the Liberals have not been able to make important gains in every part of the country. The West still remains a dead zone for the party. In fact, in the four western provinces the New Democrats are increasingly challenging the Tories, leaving the Liberals closer to the Greens than they are to the NDP. Rae has also been unable to increase Liberal support in Atlantic Canada, one of the few regions of the country that, for the most part, stuck with the Liberal MPs they had before the vote on May 2. But despite these problems, Rae has increased the party’s support in Ontario and Quebec, the two provinces that were crucial in building Jean Chrétien’s majorities. Despite his history as premier of Ontario, Rae has moved the Liberals ahead of the NDP in the province, after the party had fallen narrowly behind in May. They have even been ahead of the Conservatives in a few individual surveys. And in Quebec, where the New Democrats have dropped 10 points since the election, the Liberals are making gains. Though they are still well below where they polled before the last vote, the Liberals are on the upswing and on pace to regain some of the seats they lost to the NDP in Montreal. The defection of Lise St-Denis, an NDP MP from a francophone riding outside of the metropolis, is also a positive sign for the Liberals in Quebec. After the disastrous results of the last federal election, the Liberals could have easily slipped deeper into obscurity and surrendered their position permanently to the New Democrats. 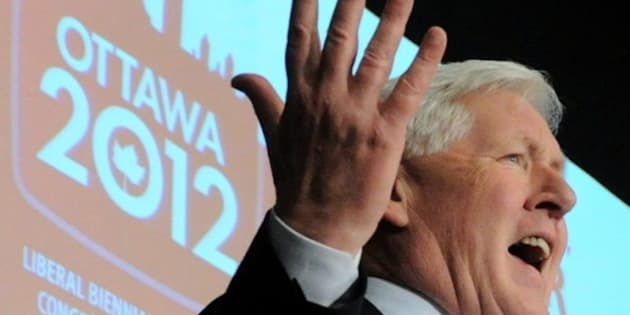 Though Bob Rae may not be the face of renewal that the Liberals need, he has undoubtedly had success in keeping his party afloat.